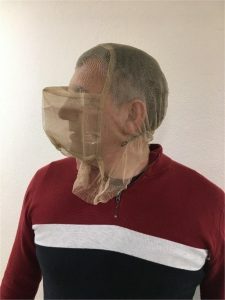 Devon and Cornwall Police will introduce spit and bite guards (SBG) to limit the number of assaults on officers, staff and other emergency service workers such as paramedics and nurses. Between 2016 and 2017, 216 officers and staff were spat on in Devon & Cornwall alone, accounting for 18% of all assaults against the staff. It is not just saliva spat but also blood and other bodily fluids. Superintendent Ian Drummond-Smith continued, “Devon and Cornwall Police needs to ensure the safeguarding of those in our care, with particular consideration given to those who are vulnerable or have mental health needs. The force has taken time to consider a number of options to protect officers and staff; taking into account relevant research and the suitability of various alternatives. In addition to this, we have also ensured that the preferred option has been robustly medically tested to ensure the safety of those in our care. Devon and Cornwall Police will join 26 other forces nationally who have deployed SBGs in operational and detention settings to protect officers, staff and detainees. This includes Dorset Police, who adopted SBGs in December 2018. The Police Federation has been fully engaged in this work and supports the options that have been chosen.